The FAC houses an impressive amount of Van Briggle pottery, and the last time we had a full-scale exhibition was in 1975! You can view a small glimpse of the collection in the hallway leading to the security corridor. 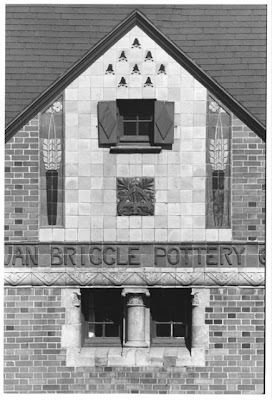 A challenge for a Van Briggle collector is identifying the validity of the pieces, as Van Briggle signage (found on the underside of the pots) is inconsistent through the years of production. 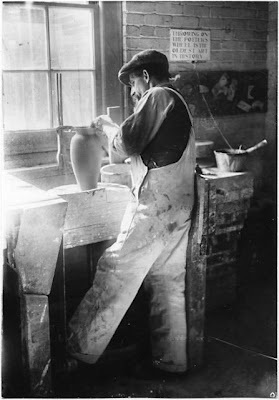 Artus Van Briggle, founder of Van Briggle Pottery. 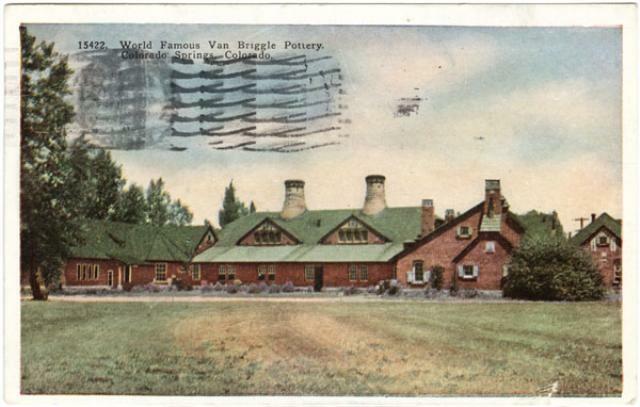 Postcard featuring the Van Briggle Pottery, located on Uintah St. 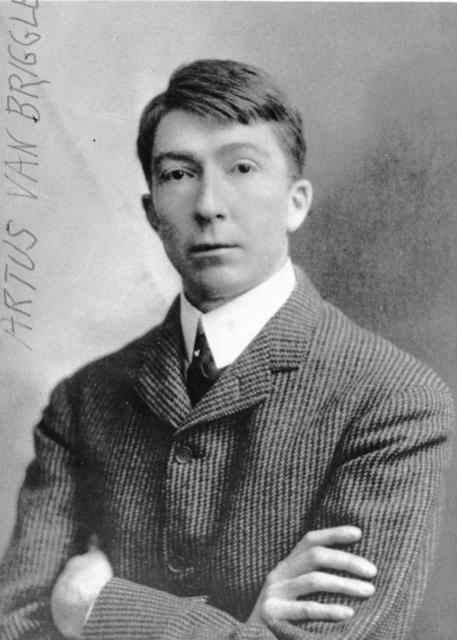 This building opened in 1908 to commemorate Artus' death, which occurred 4 years earlier. Colorado College has owned this building since 1968. The freeway was even re-routed just for the sake of this building! 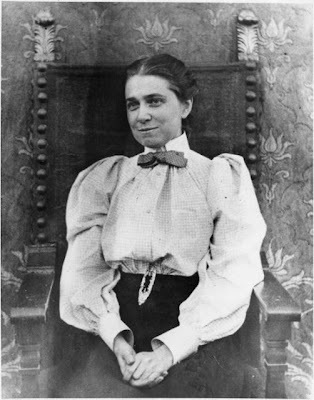 company and moved to Denver to pursue painting. A detail of the Van Briggle pottery building. 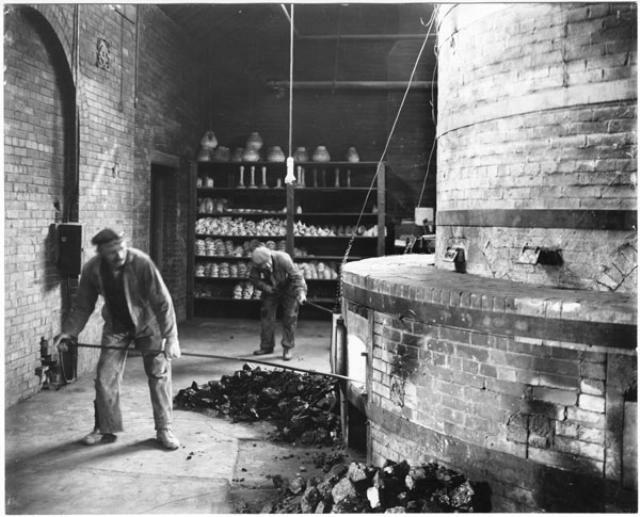 Men tending to the furnace in the Van Briggle Potter building.